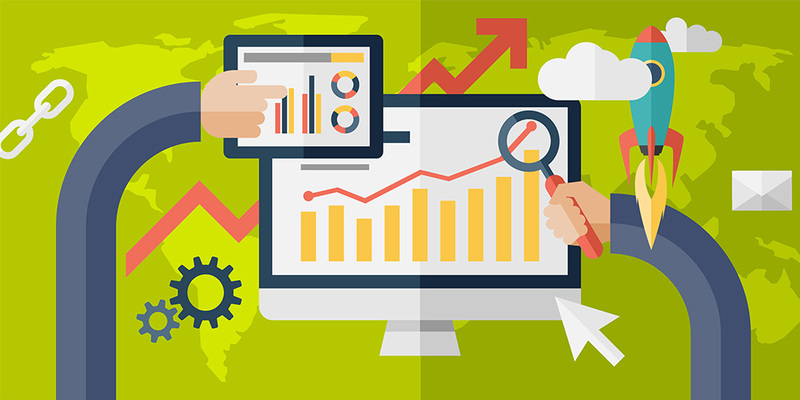 With our Google Analytic’s integration, you can track a very comprehensive set of historical data. 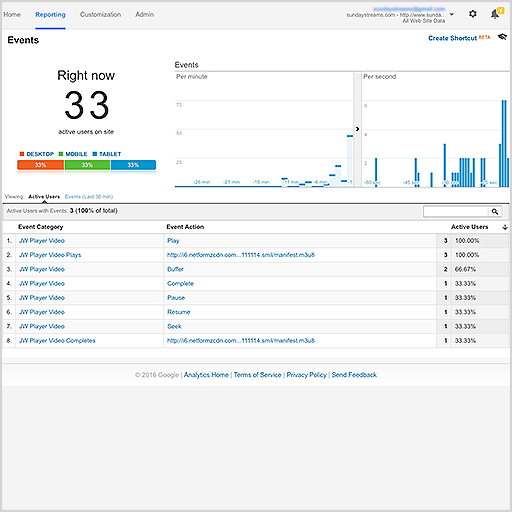 Plus, in Google Analytic’s you can even see viewer activity in real-time! With the Sunday Streams integration with Google Analytics, you can track your video viewers in real-time. As new viewers join to watch your live broadcasts the sliding chart is updated in real- time! Video data that is tracked includes viewer locations, videos watched, video actions such as pause and play, completed video tracking, and much more. Plus, the real-time feature lets you also track in real-time your regular website views on your Sunday Streams Website and the Sunday Streams Customized Apps (customized apps available with the $79/month package). By using the Sunday Streams system including the custom website and customized apps features (customized apps available with the $79/month package), you can track your video views, web page views, as well as app usage. The comprehensive reports also include data on geographic locations, browsers used, devices used, page view duration, and much more! 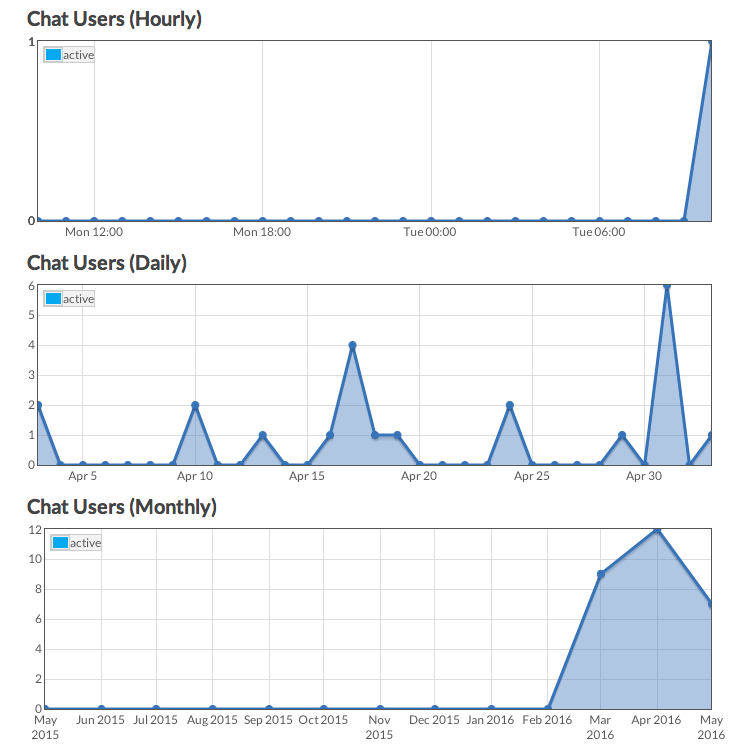 Separate statistics for your live chat are displayed in your live chat control panel. 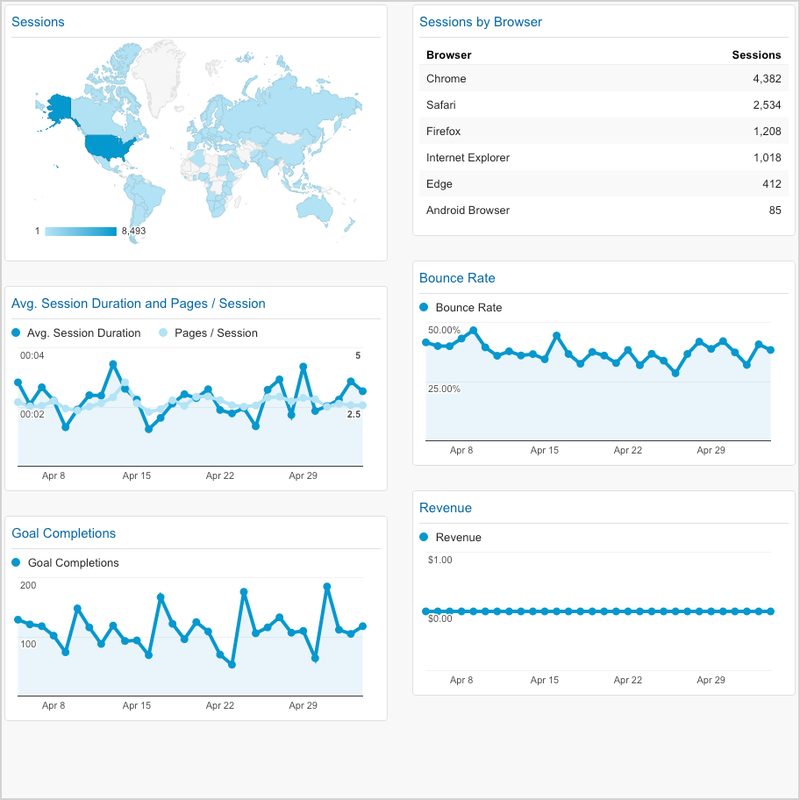 Reports include users by hour, daily users, and monthly users, as well account specific stats.